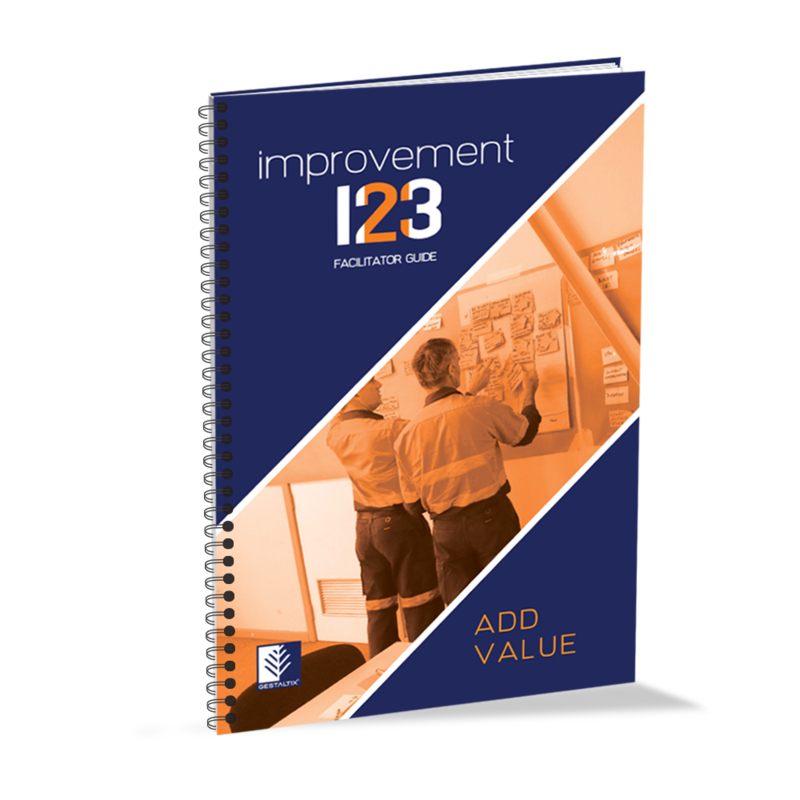 Add Value covers the second stage of workplace Continuous Improvement: the identification of a wide variety of process and operational wastes. 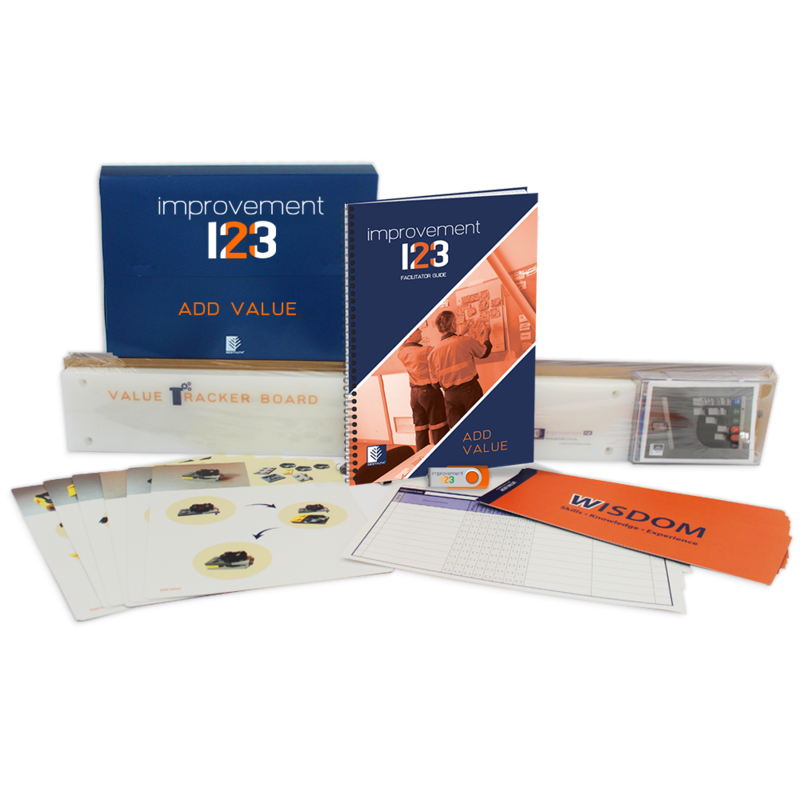 The kit includes instruction on how to identify wastes and provides a proven Visual Workplace tool to tap into employee expertise and track Added Value. The Add Value kit is available as a Workshop kit or a Masterclass ‘unlocked’ package. 46 page, easy to follow step-by-step guide for facilitating the coursework and implementation of strategies and visual tools. Includes a professionally designed presentation slide deck to enable easy, consistent program delivery (included on USB stick). 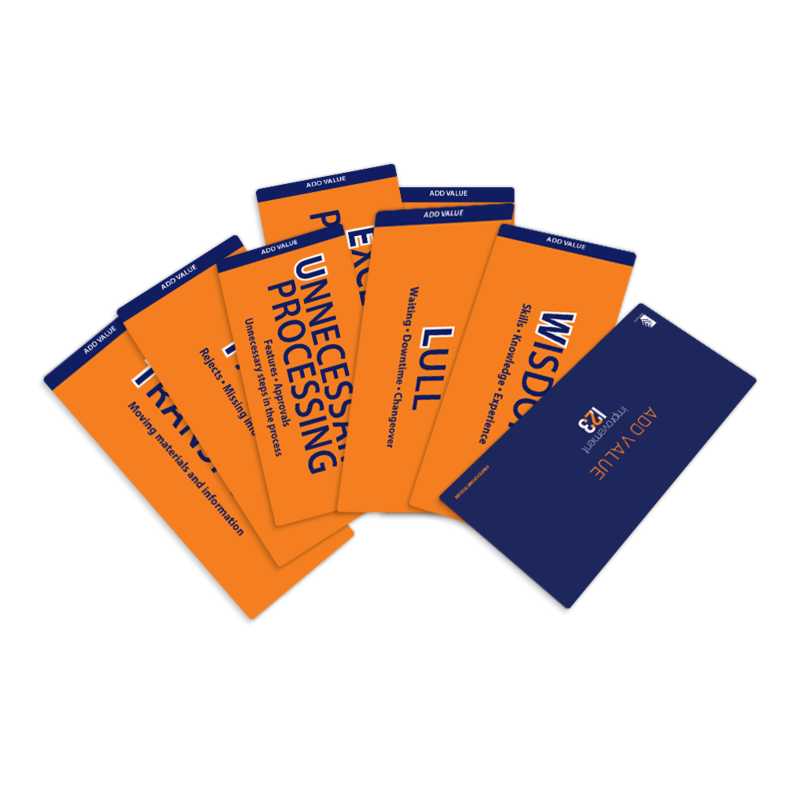 A set of A4 sized cards to provide an alternative assembly experience when using the Process Simulation kit*. Beautifully printed on robust card and celloglazed for repeated use. 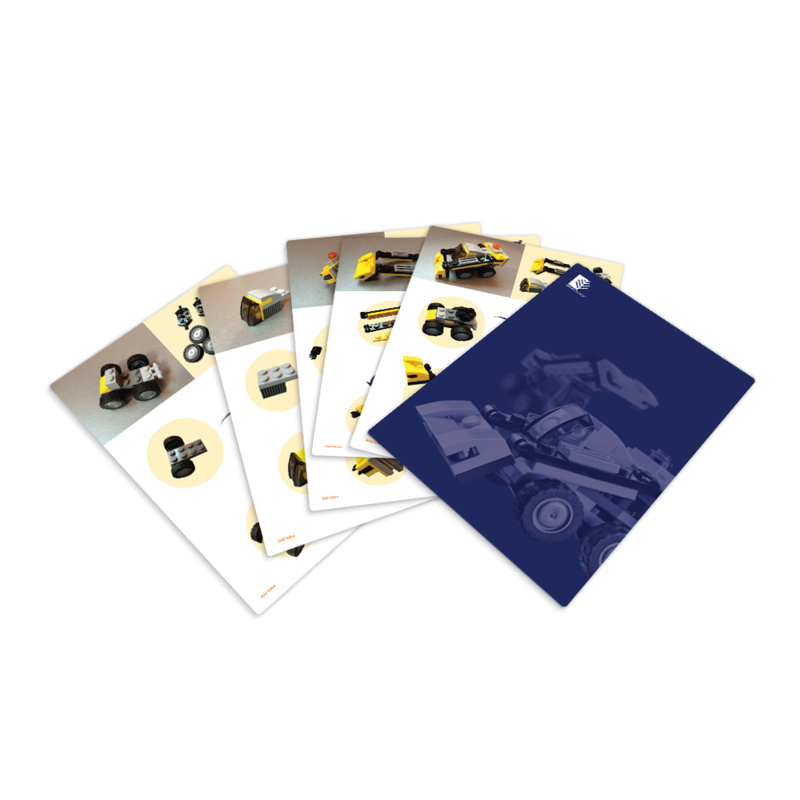 (* The Process Simulation kit as supplied with the Create Order kit or can be purchased separately). A set of title cards used during coursework to facilitate learning of the 8 wastes. Beautifully printed on robust card and celloglazed for repeated use. 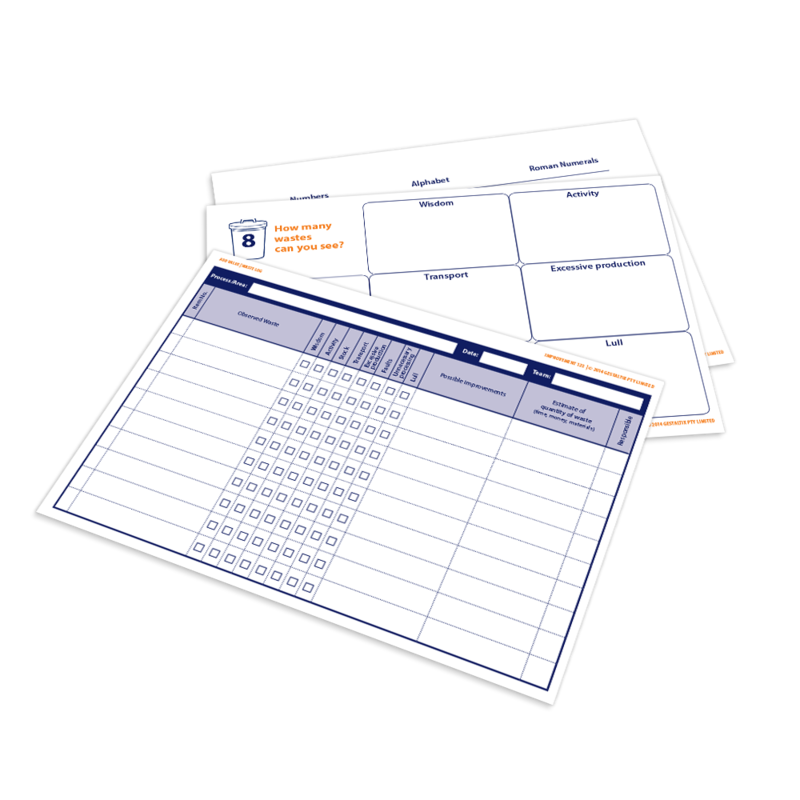 Professionally designed templates for “waste walks” and in-training activities. These masters are printed on card as copy masters. PDF versions are also included on USB in kit. 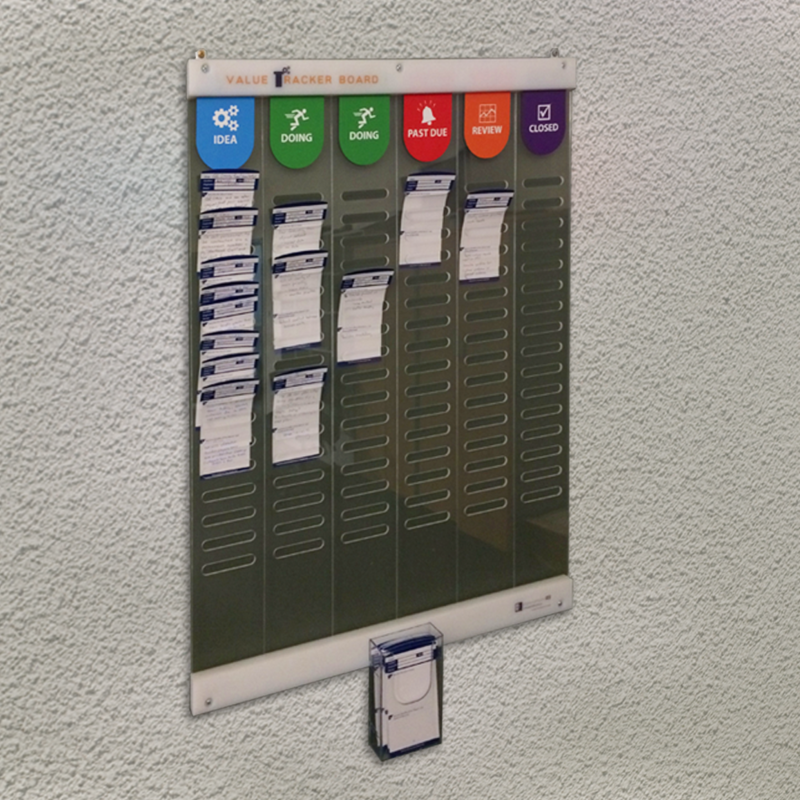 An innovative and attractive board for easy, effective raising and tracking of value added ideas and waste removal suggestions. [Australian Registered Design 362477]. Includes starter pack of 50 x Tracker Cards. Some assembly required. Purchase a Premium package to access discounted Value Tracker Boards and packs of Tracker Cards. Commissioned specifically for the Add Value kit, The Lemonade Stand is a lively and educational 4 minute video that cleverly highlights the multiple ways Waste litters everyday work & processes. The Lemonade Stand provides a visual & highly interactive learning approach for teams to join-the-dots and understand the link between Waste and Customers! The video is included in HD on the kit USB.